What Does the Council Do? The Statement/Response is available to view or download HERE. At the Parish Council meeting on 13th March it was also resolved that the Council would request a follow-up meeting with the Head of Planning Strategy at Cheshire East Council. Please feel free to give us a call, drop in or send us a message from the Contact Us form. We aim to respond to all queries within 48 hours. Disley Parish Council is run by 7 parish councillors from the village, elected every four years, who appoint a chairman as leader. The clerk, who receives remuneration, is responsible for the organisation of the council including dealing with correspondence, financial matters, and preparing the agenda for meetings. 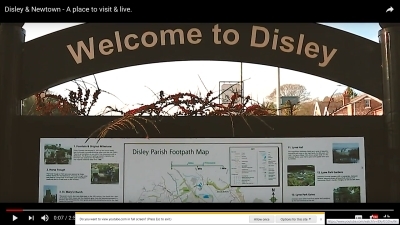 To receive latest news and any newsflashes please follow Disley Parish Council on Twitter. Copyright © Disley Parish Council. All Rights Reserved.